The Florida Marlins prepared for the 2003 World Series against the Yankees and Florida pitching coach Wayne Rosenthal could only marvel at his staff. His staff got the team to the playoffs and past the Cubs. His pitchers wanted the ball. "These kids are something," Rosenthal told reporters after the Game 7 NLCS win. "Josh came up to me yesterday and said he could go today. Dontrelle Willis pitched last night and he told me he was available. Then Brad Penny said the same thing. I mean that's amazing." Rosenthal's staff, especially starter Josh Beckett, soon pitched the club to the 2003 title. Rosenthal coached the Marlins pitchers that year after a short career as a coach and coordinator in the minors. He turned coach after a career as a player that took him to the majors over two seasons. Rosenthal's career began in 1986, taken by the Rangers in the 24th round of the draft out of St. John's University. 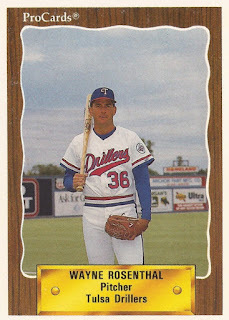 Rosenthal started with the Rangers in the rookie Gulf Coast League. He went 4-2, with a 0.73 ERA over 23 outings. He moved to single-A Gastonia for 1987, then to single-A Charlotte for 1988. He split time between Charlotte and AA Tulsa in 1989. His highest ERA those three years came in 1989 at 2.78. 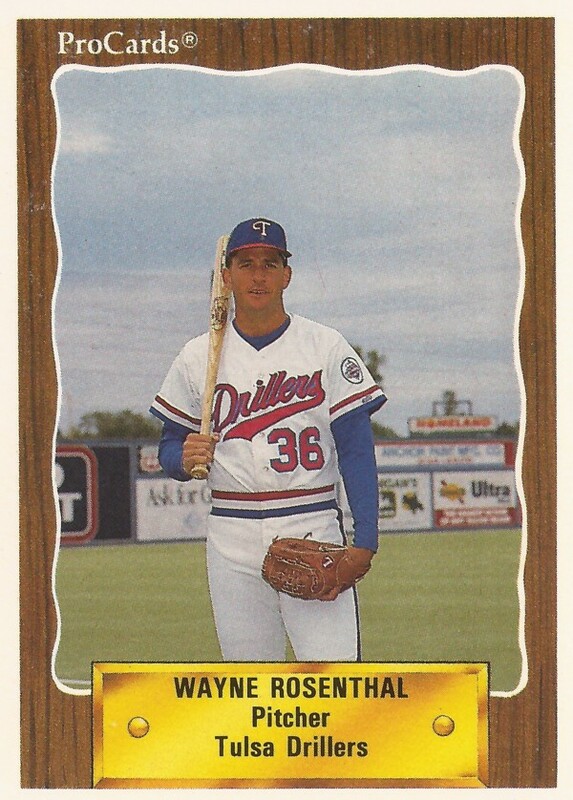 Rosenthal played 1990 between Tulsa and AAA Oklahoma City. In 1991, he debuted in Arlington with the Rangers. Rosenthal got into 36 outings for the Rangers that year, ending with a 5.25 ERA. He picked up one of his four losses in a July game, giving up a 10th-inning home run to Rob Deer. "It was a good pitch," Rosenthal told The Associated Press afterward. "I wanted a slider, down and away. Deer just reached out and got extended and did the rest with his wrists. Maybe I won't throw him that pitch again, but you never know. Maybe he was guessing, too." Rosenthal returned to the Rangers for six more outings in 1992. He gave up four earned in 4.2 innings of work, ending his big league career. He then played one more season in independent ball at Duluth-Superior, rounding out his playing days. Rosenthal then soon started his coaching career. He served as pitching coach at single-A Cape Fear in the Expos system in 1997. He jumped to the Marlins system by 2002 as a minor league coordinator. In 2003, he joined the big club in Miami as pitching coach. That August, he worked to help rookie Dontrelle Willis past a rough patch. "Everybody goes through dead-arm periods," Rosenthal told The AP. "You've just got to fight through it." Willis and the team made it through, ending with a Beckett 2-0 gem in the deciding Game 6 of the World Series. Rosenthal stayed on as Marlins pitching coach for 2004, then moved to AA Carolina for 2005 and then to a minor league coordinator position the next year. He continued in a coordinator position for 2015.